Pauline Bomball (née Thai) graduated from the Australian National University with a Bachelor of Laws (Hons I)/Bachelor of Economics in 2010. She was awarded First Class Honours in Law, a University Medal in Law and 14 other academic prizes, including the Supreme Court Judges' Prize for graduating first in Law. She was a student editor of the Federal Law Review. From January 2011-January 2012, Pauline served as an Associate (a judicial law clerk) to the Honourable Justice Virginia Bell AC of the High Court of Australia (the highest court in Australia). Pauline is a full-time tenured Senior Lecturer at the ANU Law School, and currently a Fellow at the Harvard Law School Labor and Worklife Program (2018-2019). She joined the faculty of the ANU Law School in February 2012. Her research focuses on labour and employment law, contract law and tort law. She has been the course convenor (course head) and lecturer of the labour law (LLB and JD), contract law (JD) and foundations of law (JD) courses, and a lecturer in the tort law (LLB and JD) course. She has also taught in the public law (LLB and JD) course. Pauline was awarded a 2018 ANU Vice-Chancellor's Citation for Outstanding Contribution to Student Learning, 2017 ANU Law School Citation for Outstanding Contribution to Student Learning, 2014 ANU University Commendation for Outstanding Contribution to Student Learning (Team Award), 2013 ANU Law School Award for Teaching Excellence (Team Award), 2013 ANU University Commendation for Outstanding Contribution to Student Learning, and 2012 ANU Law School Award for Teaching Excellence. She is admitted as a lawyer of the Supreme Court of the Australian Capital Territory. Pauline Bomball, ‘Statutory Norms and Common Law Concepts in the Characterisation of Contracts for the Performance of Work’ (2018) 42 Melbourne University Law Review (accepted for publication and forthcoming in vol 42). Pauline Bomball, 'Intention, Pretence and the Contract of Employment' (accepted for publication and forthcoming in the Journal of Contract Law). Pauline Bomball, ‘The Attribution of Responsibility in Trilateral Work Relationships: A Contractual Analysis’ (2016) 29 Australian Journal of Labour Law 305. Pauline Bomball, ‘Subsequent Conduct, Construction and Characterisation in Employment Contract Law’ (2015) 32 Journal of Contract Law 149. Pauline Thai, ‘Constructive Dismissal: A Re-Examination’ (2014) 27 Australian Journal of Labour Law 137. Pauline Bomball, ‘Labour Law and New Forms of Work’, Panellist on Law and Global Financial Security Panel (Law Week 2018, 15 May 2018, ANU Law School). Pauline Bomball, ‘The Concept of Characterisation in Employment Law’ (Paper presented to the Private, Regulatory and Commercial Law Research Group, ANU Law School, 4 November 2016). 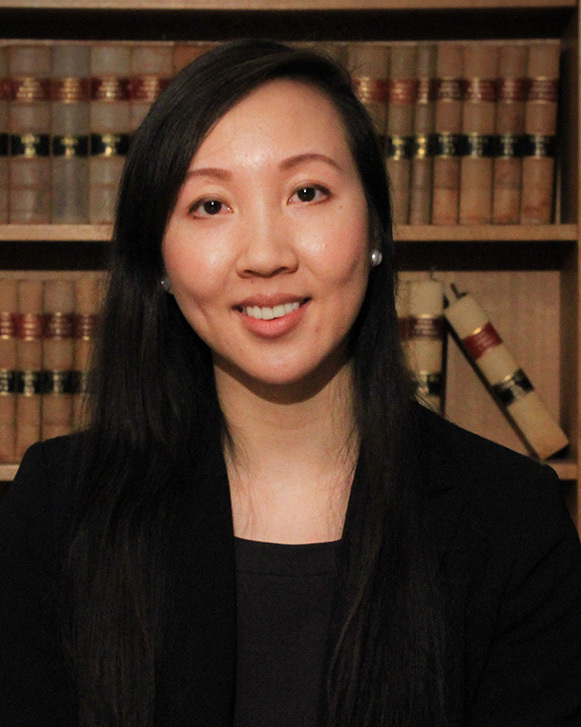 Pauline Thai, ‘The Implied Duty of Co-operation in Employment Law: A Comparative Analysis’ (7th Biennial Australian Labour Law Association Conference, Sydney, November 2014). Pauline Thai, ‘Rationalising the Interaction between Statute and Common Law in the Employment Context: A Question of “Coherence” or “Necessity”?’ (Paper presented at the 6th Biennial Australian Labour Law Association Conference, Canberra, 16 November 2012). Pauline Thai, 'Reflections on Labour Law Teaching' (Panel Presentation, Centre for Employment and Labour Relations Law, Melbourne Law School, Australian Labour Law Association Conference, Canberra, 15 November 2012). Pauline Thai, ‘The Implied Duty of Mutual Trust and Confidence: A Common Law Alternative to Unfair Dismissal Legislation?’ (Paper presented at the Industrial Relations Society of the ACT Seminar, Canberra, 11 December 2008). Pauline Bomball, 'Employment Status and the Gig Economy: A View from Australia' (2018) On Labor (blog co-founded and edited by Professor Benjamin Sachs of Harvard Law School).